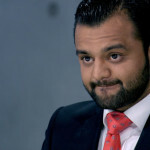 Mexican Food Entrepreneur Tim Stillwell, 23, became the second candidate to leave The Apprentice Series 9 after he was fired by Lord Sugar in episode 2. It was not a total surprise as Tim’s outburst in the boardroom in episode 1 had unnecessarily drawn Lord Sugar’s attention to him, especially as he had been on the winning team. As a result, Tim was moved to Team Evolve to be project manager. His team lost the task so it was farewell to Tim Stillwell. 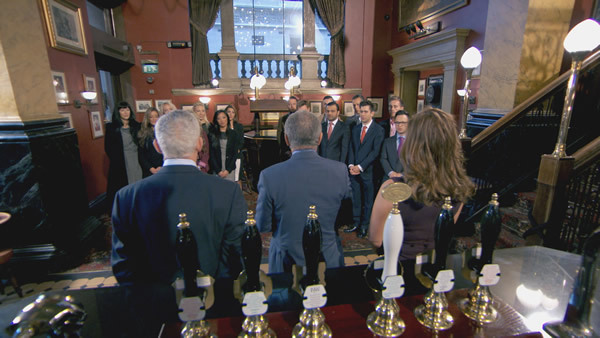 The task started with the candidates making an early morning trip to the pub to meet Lord Sugar, with a mission of developing a a new flavoured beer. Two of the candidates, Tim Stillwell and Kurt Wilson, have business ideas involving drinks so Lord Sugar chose to put them head-to-head against each other as project managers on opposing teams. Half of each team headed off to the Midlands, to Banks’s brewery to develop their drinks. The rest of the team were responsible for identifying the branding for their beers. Kurt made an interesting choice by putting non-drinker Zeeshaan Shah in the manufacturing team. Clearly he was going to be a big help on taste tests. Tim’s Team Evolve went for a rhubarb beer called Rubarb and Riches, while Team Endeavour chose a chocolate and orange beer called A Bitter This (get it? yes it’s not very funny is it). Interestingly it was the marketing half of the Evolution team who imposed this decision without tasting it. The sub-team that had tasted the products were not impressed. Trying to get the flavour proportions right for the beer, Francesca MacDuff-Varley and Tim Stillwell struggled to get the ratio calculations right. They managed to ruin two casks of product, wasting over £120 of product before they even started. It was a true shambles. Meanwhile the boys were busy manufacturing and bottling their product. Tim was totally out of his depth leading his team. He was not even aware he had not appointed a sub-team leader until someone reminded him. The boys headed for the St Albans Beer Festival, surrounded by 2,000 beer drinkers. 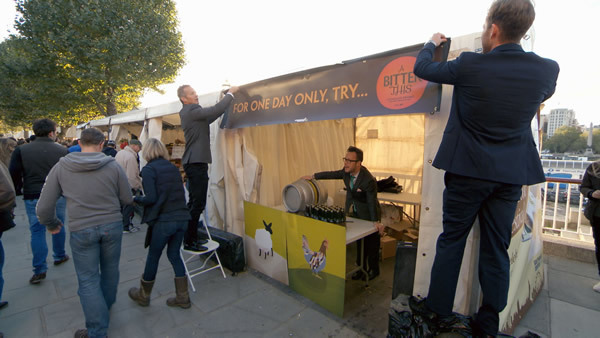 They had lots of competition as they tried to sell their bottles and casks, with a pint priced at a premium of £4. It was clear they were priced too high for the audience they had. The girls and Tim landed at the Kent Beer festival, strangely being held at a pub in Putney. Meanwhile the trade team managed to sell Rhubarb and Riches in casks at £78 per cask. Amazingly the boys trade team turned up without any drinkable samples for the buyer to try. Alex Mills (AKA Count Dracula with the eyebrows) suggested to the trade buyers that they could sniff an empty bottle. They were rightly thrown out on their ears. Meanwhile the team argued over who should have provided the samples. Having eventually managed to get hold of some samples they managed to get in front of some customers. Jason Leech came across very badly when interrupting Zeeshaan Shah during a negotiation. Jason managed to drag the cask price down from £80 to £75. At the next negotiation Jason Leech again interrupted to complicate the deal. As the day went on the price went down. Cask prices dropped to £69.99 and pints were going for £1 per pint. So much for the premium price of £4 earlier in the day. In the boardroom, Lord Sugar pointed out that you need to deploy people where their skills can best be used. Sending Zeeshaan to manufacture beer was not one of Kurt’s best ideas. Jason’s unhelpful behaviour during the trade selling activity was highlighted by Zeeshaan and Alex. Team Evolve spent £648.67 on product, the trade team sold £492 of product and sales to the public were £555.69 giving a team profit of £399.02. Team Endeavour spent £601.40 on product, sales to the trade were £284.98 and sales to the public were £1,147.98 generating a profit of £831.56. So it was victory for Kurt and the boys of Team Endeavour who were rewarded with a trip to Belgium to try some Belgian beer. Meanwhile it was back to the cafe for Team Evolve to brood on their second loss in a row. After this dressing down, Tim Stillwell chose to take Francesca MacDuff-Varley and Rebecca Slater into the boardroom. The task went wrong for Tim because of errors on calculations and locations, so he maybe chose the right two people to bring back with him. Although since Rebbeca and Uzma seem to hate each other putting them together would have been a smart move. Rebecca was blamed for choosing a poor location to sell to the public, but had outsold everyone else including the boys. This obviously appealed to Lord Sugar. He did warn Rebecca that she needed to get on with the others. Francesca was criticised for not being able to calculate ratios during the manufacturing fiasco. In her defence the rest of the group were just as bad at maths. In my view, Lord Sugar should be worried about giving any of them £250,000. After some deliberation Lord Sugar decided that Tim Stillwell was the one to go and the finger of fate pointed in his direction. Tim had to say farewell to the £250,000 investment from Lord Sugar. So we have fourteen candidates left. Episode 3 screens on Wednesday 15 May at 9pm on BBC One. See the latest Apprentice 2013 results.